Do you need assistance in finding the best garage door option for your house in Naperville, IL? 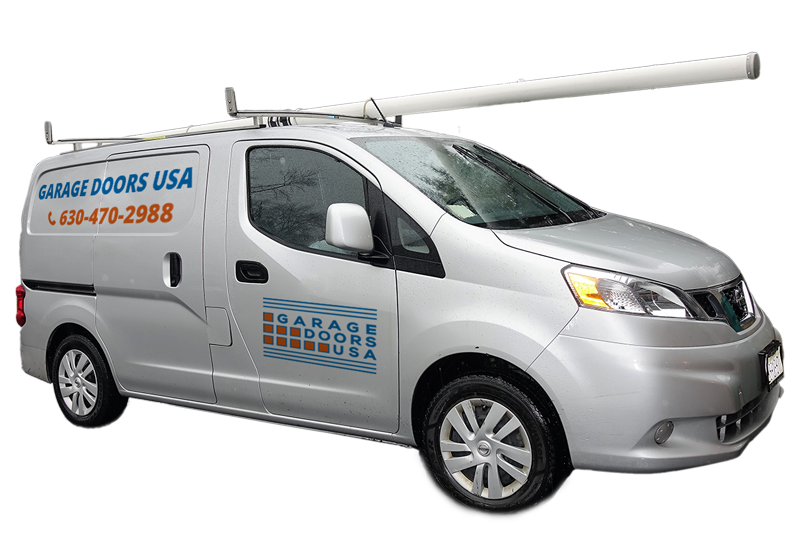 Are you looking for a reliable garage door installation service in Naperville, IL? Our certified garage door technicians can help you with any garage door installation projects in your area. We will help select and will professionally install the most suitable garage door for you! 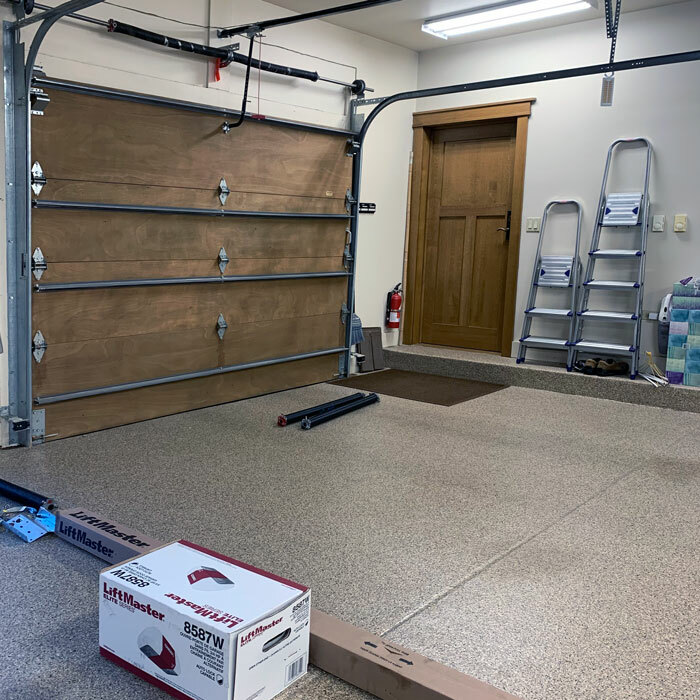 Garage is an important part of every house. Aside of providing storage for a lot of valuable possessions and vehicles it also greatly affects the looks of the house. Selecting a perfect garage door for your garage may seem easier that it actually is. When dealing with a variety of available garage doors it is necessary to have a professional assistance while selecting the right one that suit your needs. Before starting with a new garage door installation, you must select a suitable door type for your garage. These doors are easy to install. The tracks are fitted at the top of the door to support it and the springs are fitted to the side frames. With the help of an electronic opener, operating them becomes easier. When these doors are opened, they swing outwards and then slide into the ceiling of the garage. You can select an automatic latching and de-latching system for the proper working of your door. Cons: you can't park your vehicle close to the garage door. These doors do not require the door frames provides increased drive-through width. Sectional garage door open by rising vertically upwards and then slide backward into the ceiling of your door. This type of door is mainly manufactured in steel but timber-made versions are also available. Sectional doors are also easy to operate and automated motors make the process further easier. 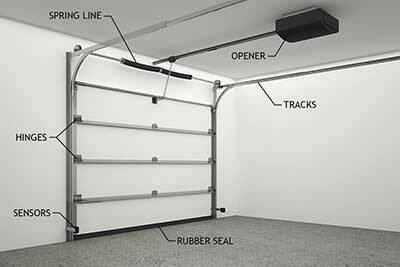 The rollup garage doors also rise vertically up when opened but they do not slide into the ceiling of the door. Instead, they get rolled up on a spindle which is located in the ceiling space. It is manufactured from thin walled slats which may or may not have an insulating core depending on the buyers’ choice. Typically, the rollup doors are made up of aluminum and steel. 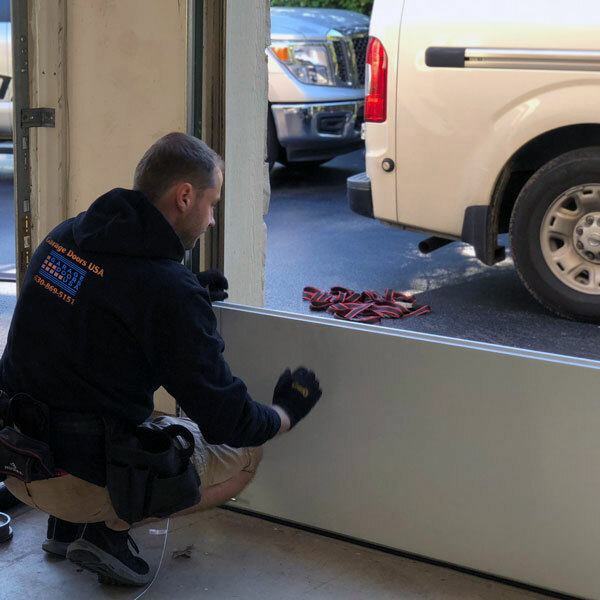 The installation process of roller doors is easy but it requires the assistance of second person for lifting up the curtain and fitting it into the support brackets. The functioning of the canopy doors is similar to that of the retractable doors however it does not swing outward as much. Also when they slide into the ceiling, one-third part of the door is left over-hanged outwards. These doors are not longer recommended because they are not suited for the automated operation.